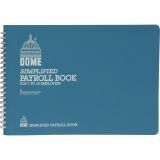 Dome Simplified Payroll Record, Light Blue Vinyl Cover, 7 1/2 x 10 1/2 Pages - Wirebound payroll book complies with all federal and state laws and contains calendar of tax forms, wide columns and a completed specimen page. Design is especially suited for smaller firms. 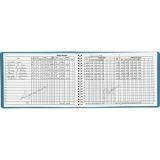 Weekly payroll summary with cut leaf sheets eliminates the chore of rewriting employee names. Undated records can started at any time. 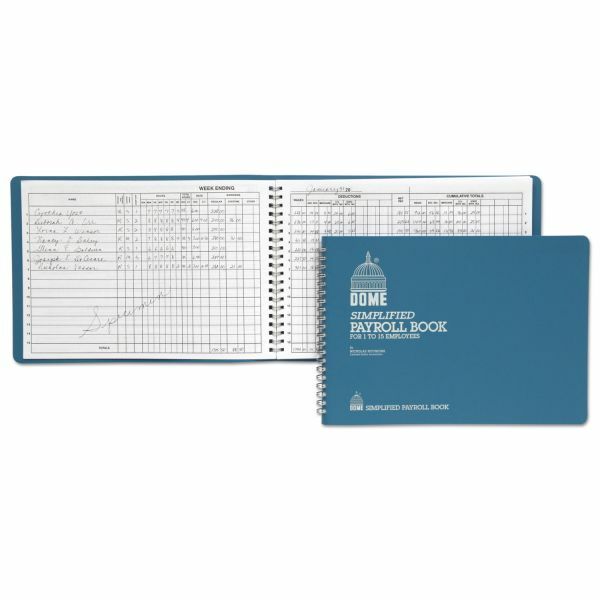 Payroll book has durable cover to protect contents. Nonrefillable.